Solar driveway lights are perfect for those of you who are eco-conscious and like to let mother nature light up the way. They run on the sun’s energy, but that doesn’t mean they will stop working on cloudy days. Which, let’s be honest, are most days here in the UK. If you make sure you buy solar lights that use their energy that they have sourced from the sunlight the week before, they should stay lit throughout dreary nights. Due to this, it is important you get good quality solar lights. Another benefit these eco-friendly alternatives give is freedom. They have no wires chaining them down. Therefore you have all the freedom to place them wherever you like. Low voltage outdoor lighting can be safely installed by yourselves, without any electrical expertise. Which means, the DIY-ers of you will enjoy low voltage lighting without worrying about electrocuting yourself. Next we have the most common outdoor lighting fixtures, regular electric current lighting. These are the lights that you will have to get professionally installed. This is due to the outdoor mains cables that must be buried deep in a trench to prevent any incidents. There is also the placement of the lighting you must consider with your outdoor lighting. The most common places are on the wall or path. Do you want solar porch lights, or block paving lights? Maybe neither, perhaps you want something else. Which is why deciding on where you would like your outdoor lighting to be is an important step to take. The place you want to put your outdoor lighting sets will affect the styles of lighting you can get. One of many outdoor lighting ideas are the outdoor floor spotlights. Block paving lights that are discreet and do not obstruct your car when parking, are perfect for driveways that are on the smaller side. Driveway lights that are fitted into the ground are relatively easy to install. Due to their modern style, outdoor floor lights are a very popular choice. They are usually sold separately, which means you can buy a range of colours and shapes and let loose your creative side. You can even get outdoor track lighting for the ground that will light up your driveway path like a runway. Another modern outdoor lighting style is wall lights for your driveway. Wall lights are spacious and look great. To create a really stunning, expensive look without paying out, get outdoor recessed lighting along your walls. Driveway post lights are better for larger driveways because they can become slightly obstructive. This unfortunately can restrict the places you can place the post lights – driving into one of your beautiful lights is not what you want. However, they can help when parking if you place them around the perimeter of your driveway, making a more visible outline when parking in the dark. Notably, post lights will not get covered by any fallen leaves or snow, like ground lights will. Exterior driveway / patio lights with a sensor are brilliant for those of you who are very security conscious. This security lighting will light up when it senses motion. Scaring away any potential robbers while informing you of any activity outside your home. This lighting exterior addition can also be a way to saving energy and therefore money. This is because the sensor will only light them up when needed. Lastly, there are the LED driveway lights that you can wrap around a tree to bring a festive feeling all year round. Or, hang them along the fence and walls to create a unique feature to the exterior of your home. We hope you gained some driveway lighting inspiration from this blog post. 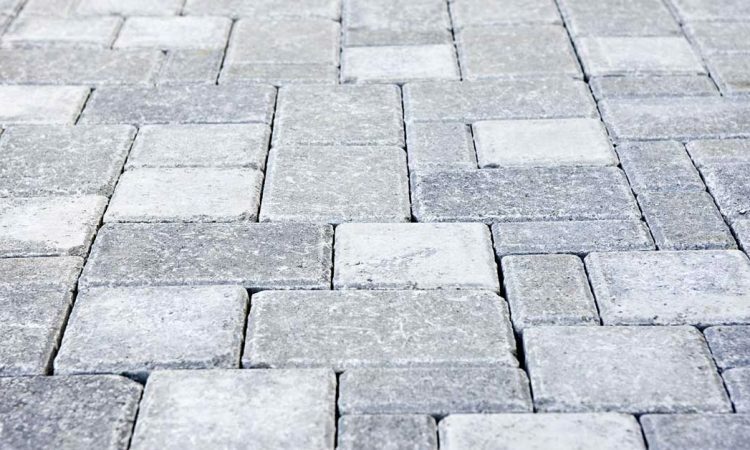 We offer a range of block paving patterns, designs and colours to fit in with your desired lighting choices. Give us a call on 0161 833 5416 or 0124 474 4125 if you are looking to get a block paving driveway or patio. Given you want simple steps to effectively clean your driveway or patio, follow us along your journey to a healthy, clean block paving.